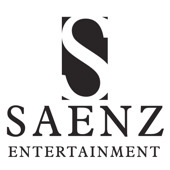 Since 1990 Saenz Entertainment has been a part of many joyous occasions including weddings, graduations and Quinceaneras. What first started as a hobby grew into what is now a 20 year business. Although the name has changed with time, our work ethic has not. We still offer the best service and professionalism that we always have because we take pride in what we do. Although we only use state-of-the-art sound equipment and lighting, our service is what has always set us apart from our competitors.